Rate this Article As the world has gone mobile, comes with it a whole new platform to play in. And with this, we are fortunate to get lined up with a great new collection of horse games. Having played through several titles and reviewing a bunch of them, ultimately gave us a short list of games – that qualifies to be the best on the market. In this following article, we give you four of the best (by far) horse games on Android. Nevertheless, despite having this magnitude of titles to play out there, there will always be a few games that will definitely stand out in the crowd. And as we get to tackle horse games in particular, we came up with four games on our list -- we find to be the best among the rest. First, we have the game My Horse. Developed by NaturalMotionGames Ltd., this casual game takes you to simple simulation game where you get to own and look after a digital horse. In wonderful game, you get to care for your horse by grooming, feeding and treating it. Not limited to this, you also get to build the bond with your foal as you scour through its wide range of interactive activities. As you progress, find way to unlock the eight different breeds to collect and look after. The exciting thing about his game is the fact that it also enlists competition in its elements. There are the show jumping events waiting for you, all the way up until you get to compete in the World Championships. Coupled with great graphics and the portability of a mobile game, there is seemingly no reason for any horse enthusiast not to indulge themselves with the game. Next we have the game Virtual Horse Racing 3D. Horse Racing 3D is a high quality game in which players get to ride horses in fast paced races that are watched by massive crowds cheering on at all times. The game is filled high octane races where only the best players can come out on top. There are basically two game modes to choose from; the first is the standard race in which you must go around the track before your opponents can and the second is the hurdles race in which you must take into account the hurdles along the way and jump accordingly. Probably one more strong point for the game is its breathtaking graphics. The horses and all elements found therein look very real, as well as for the animations seen while you’re gazing through the races. As for the details, the game’s graphics capture each of the breed’s elegance and noble posture/s quite accurately. On our list we also included the game Horse Racing 3D (and yes, if you’re asking, it is a different game from “Virtual” Horse Racing 3D). Horse Racing 3D is race simulation game for android devices that offers a high quality, full 3D game in which players get to compete with other riders for the top position in a great collection of races, while providing you with several defined side objectives to complete. Coupled with the gyro input functions in your phone, you will definitely get to enjoy a quick and exhilarating horse race with this one. The game packs superb graphics and realistic sound that will surely impress you. From the variety of horses to own, the different environments and tracks to race in, the simulated animation of the competition... in fact, every single aspect of the game itself has been perfectly rendered to immerse you even further into the game. 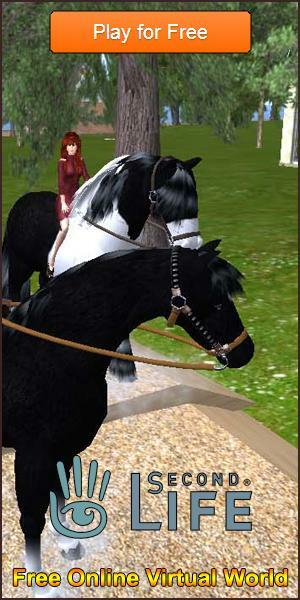 To complete our list, we share to you the game Horse Haven: World Adventures. Horse Haven: World Adventures is also a very social game as you can drop by your friends’ ranches to pet their horses and speed up the production of their farms. In this unique mix of farming and management game, you predominantly get to grow and harvest crops in the farm plots on your ranch to feed and grow your horses. On the plus side, you also get to have them participate in different steeplechase competitions and earn some credits from it. Once you’re confident you can take care of more horses, do go ahead and purchase a new horse from the in-game market. If you’re itching to play a horse game but lack the time to do so, mobile games are well worth the try to get you the entertainment you want, on-the-go. Now with these four titles, you should definitely have no problems getting hooked up for a game, as they simply ought to be the best among the rest!